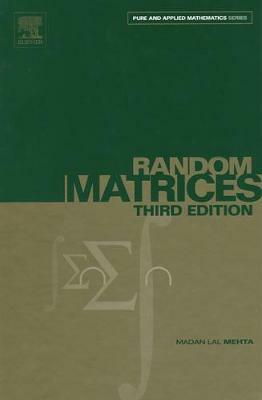 Random Matrices gives a coherent and detailed description of analytical methods devised to study random matrices. These methods are critical to the understanding of various fields in in mathematics and mathematical physics, such as nuclear excitations, ultrasonic resonances of structural materials, chaotic systems, the zeros of the Riemann and other zeta functions. More generally they apply to the characteristic energies of any sufficiently complicated system and which have found, since the publication of the second edition, many new applications in active research areas such as quantum gravity, traffic and communications networks or stock movement in the financial markets. This revised and enlarged third edition reflects the latest developements in the field and convey a greater experience with results previously formulated. For example, the theory of skew-orthogoanl and bi-orthogonal polynomials, parallel to that of the widely known and used orthogonal polynomials, is explained here for the first time.